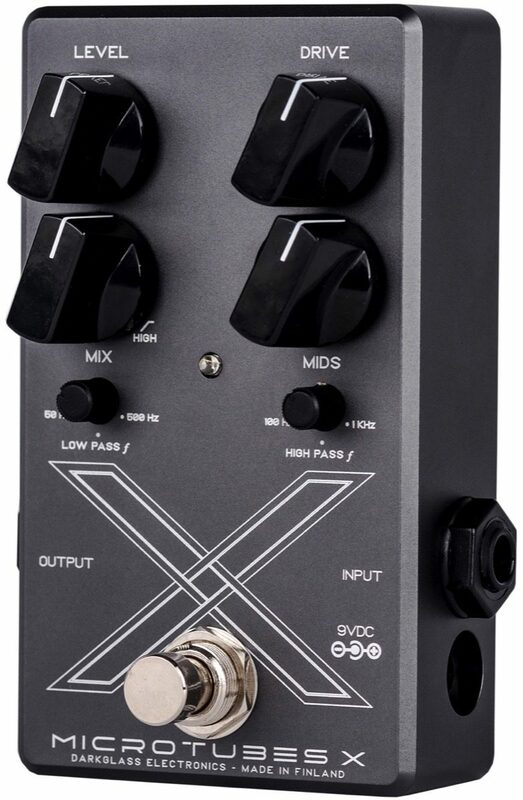 The Darkglass Microtubes X series brings the studio method producers have been using the years to cover the whole bass distortion spectrum: from articulate high gain to punchy mild overdrive, raw and gnarly fuzz and everything in between. 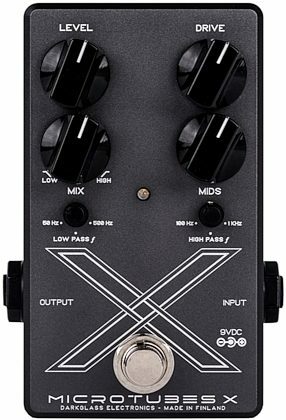 You now have absolute control in constructing your vision of what the perfect bass distortion texture, definition, and size should have. - High-pass frequency: Controls the cutoff frequency to be distorted, ranging from 100Hz (for thicker, fuzzier saturation) or 1kHz for ultra-sharp definition. - Low-pass frequency: Controls the cutoff frequency to be mixed back to the high-pass side. Ranging from 50Hz (for only sub-bass) and 500Hz to preserve some clean mids. - Level: Sets the overall output volume of the unit. 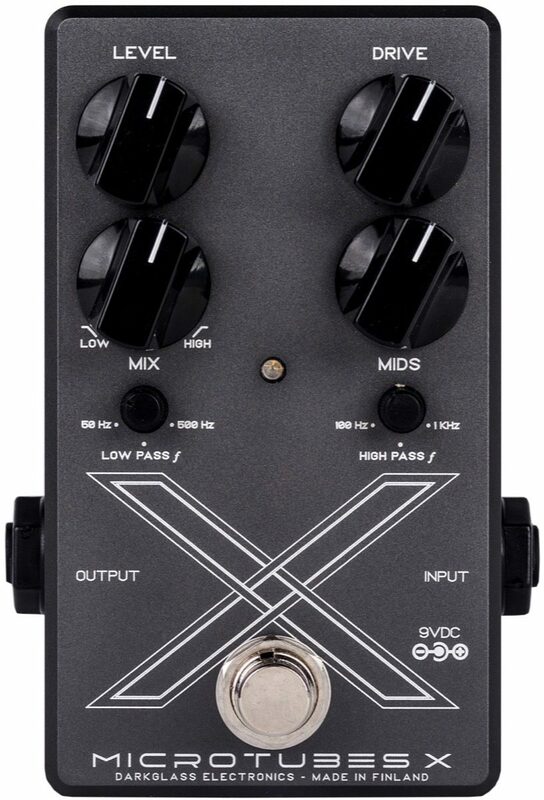 - Drive: Sets the amount of distortion for the high pass side. 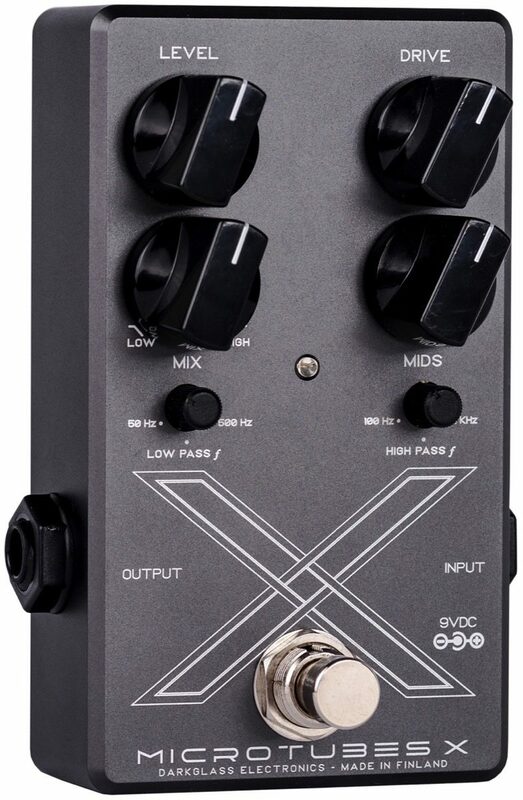 - Mix: Sets the blend between low-pass and high-pass signals. - Mids: Active mid control placed after the Mix control. +-12dB @ 500Hz. zZounds is an authorized dealer of Darkglass Electronics products. 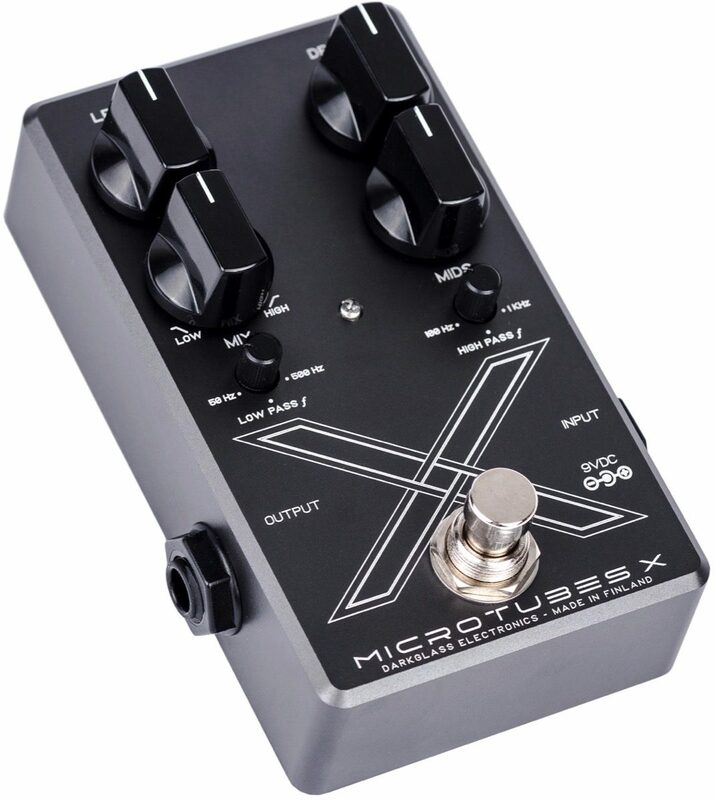 WARNING: The Microtubes X has a current draw of 30mA. Only use a regulated 9V DC adapter with a center-negative plug. Due to ecological reasons, it does not accept batteries. Unregulated power supplies and/or higher voltages may result in suboptimal noise performance and even damage your unit, voiding the warranty.